I thought the sentiment was perfect. Out Cliff Lee-ing Cliff Lee. Kennedy was a strike-throwing machine that night, peppering the zone with every pitch in his arsenal. If you had no other information, and simply looked at the stat line — 10 strikeouts, no walks, no runs and three hits — and you asked fans to guess which pitcher had that line, Cliff Lee would be a pretty common guess. Kennedy is, without question, one of the best starters in the NL this year and he should be rewarded for his fabulous season with the chance to play in the All-Star Game on his home field. But he shouldn’t be alone. The man who finished off Kennedy’s win in Colorado last night should have the opportunity to come in after him on July 12 as well. J.J. Putz has been everything D-backs fans could have hoped for. Following a season in which the team had a historically bad bullpen, the overhaul in that department has been stunning. The D-backs have the seventh-best bullpen ERA in the National League and the 10th best in all of baseball. And it seems there is no bigger reason for that turnaround than the veteran at the back of the ‘pen. Putz has given up only four earned runs and one home run in 21 innings this season, saving 14 games in 14 chances. Though you still have time to vote (and vote… and vote… and vote!) 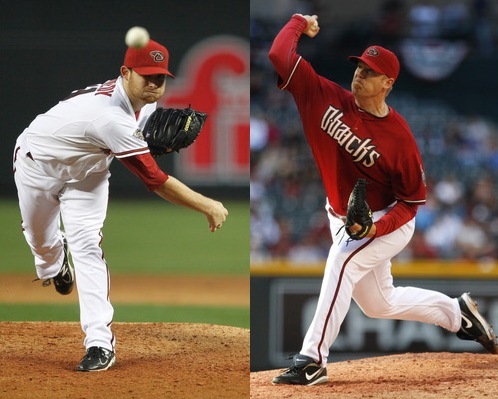 for D-backs position players to make the All-Star Game, you can’t vote for these guys. It’s the National League players who pick the bulk of the reserves. And if you have noticed what these two have done, it’s safe to say the opponents who have watched Kennedy and Putz dominate their teams have doubly noticed.